Grove is located to the south west of Edinburgh city centre, around 8 minutes from Haymarket Train Station. 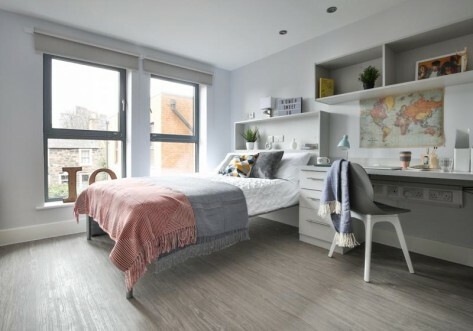 You can walk to the University of Edinburgh in 25 minutes, Napier University Merchiston Campus in 20 minutes, or get a bus to Heriot-Watt University nearby. 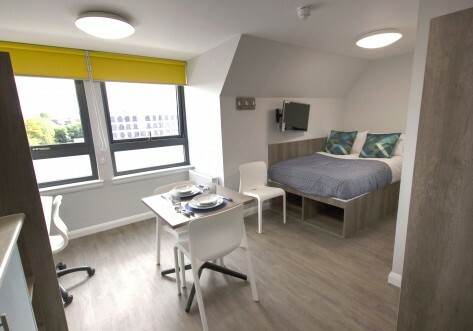 We offer en suite rooms with the use of shared kitchen and living areas, as well as self-contained studios and flats giving you a kitchen and living space of your own. Some of our flats are also available to share with a friend. 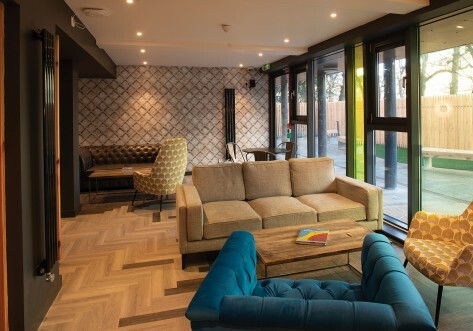 There are also great study and social spaces including a spacious lounge with games area, cinema room and 24-hour gym. 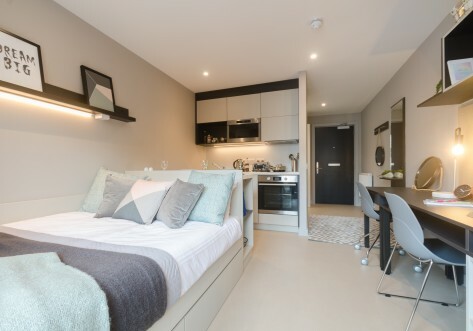 Grove has a wide range of amenities within a 10-minute walk, including a supermarket, post office Cineworld cinema and Haymarket Train Station. We're around 1 mile from landmarks like Edinburgh Castle and the Scottish National Gallery, and you'll find bus links around the city right at the end of the street. Use code GROV1119-NCBK150 to receive £150 cashback when you book any room type. T&Cs apply*.